This is one of the illest videos I've seen in a long time. Check out this [unofficial] aural AND video remix of Pusha T's "Numbers" with Don Cannon & Kanye. This remix was done without the a capellas, too. 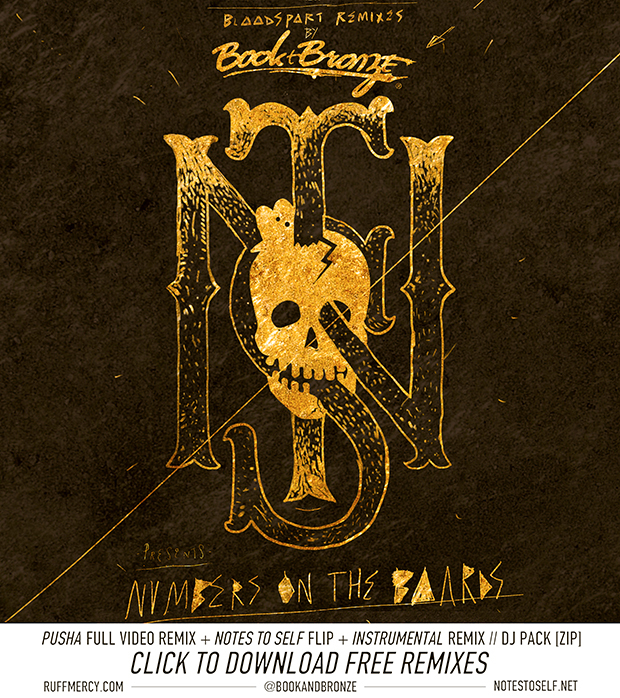 RUFFNOTES presents 'NNNNNMBERS ON THE BOARDS' (BOOK & BRONZE BLOODSPORT REMIX) from RUFFMERCY on Vimeo.